Our furry friends, whether they’re work animals or strictly pets, incur their own wear and tear and feel pain we can’t always see. They have feelings they can’t express all the time but we always want them to get the pain relief they need and live long, happy, healthy lives. Finding the right way to treat them isn’t easy, especially because they can’t tell us if it’s working. We have to rely on what we see in them and this makes it difficult to know if things like drugs or surgeries are making them more uncomfortable. RITM SCENAR offers an option with no proven side effects. You’ll be able to see your animals feeling more comfortable as the therapy goes on, helping you have the peace of mind that they’re healing. 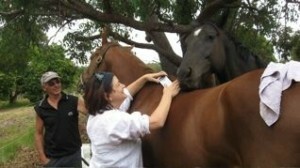 SCENAR therapy for animals is proven to work on the premise that animals have the same meridians as people. The therapy used on us will also work on animals for this reason, tapping into the natural chemicals to reduce pain and using electrical stimulation to encourage these chemicals to release on their own. Not only does this offer natural pain reduction for your animals, but it also promotes health and vitality on a general basis. In Rossland, BC, well known therapist Chris Mortensen has treated a dog named Binder for a chronic elbow problem and arthritis. This method of natural pain reduction often makes Binder fall asleep during treatment and loves feeling better and functioning well without the pain of her chronic conditions. In horses, RITM SCENAR Professional has been used to treat the spine and withers, areas that often affect them especially in old age. Carrying people, heavy loads, or running in races for most of their lives can take a toll on other areas as well such as the knees and SCENAR is an easy treatment to alleviate this pain so they can live longer and feel good. 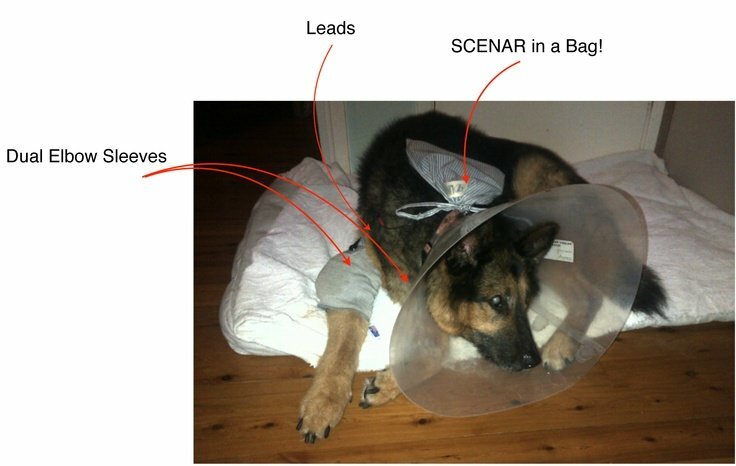 A 15 year old shepherd/kelpie cross had a painful wound on the elbow and was treated by SCENAR using the garment attachments, the leads and devices attached over his bandages for about an hour a day. This method provided natural pain reduction and helped him heal faster and better. These are just a few examples of animals successfully treated by SCENAR therapy. 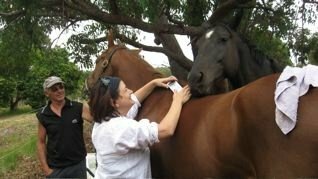 It can work with nearly any animal on several kinds of injuries and conditions to give them safe relief that you can see working as they’re treated. 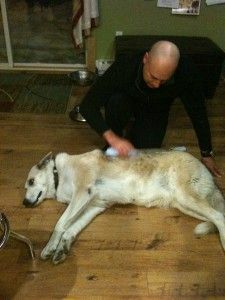 You can also learn through instructional classes about how to perform these therapies on your animals at home so they’ll never have to be without the soothing benefits of RITM SCENAR no matter where you travel with them. For chronic conditions, this is extremely convenient. If you’re interested in treating your pet or work animal with SCENAR therapy and providing natural pain reduction, talk to your SCENAR practitioner today.